Sixways Clinic does not offer a walk in appointment service. All patients must have a booked appointment. Appointments may be arranged by calling 01242 223810 Monday to Friday between 8.30am and 6.00pm. If you wish to book a routine doctor's appointment, please ask the receptionist for the next available appointment with your usual doctor. If you need an earlier appointment than this for any reason, please tell the receptionist who will offer you the next available appointment with any doctor. You may also book online via the link at the top of this page. To register to use this service please visit reception. You will need to bring some form of photographic identification. Please note; this should NOT be used for making antenatal or nurse appointments. 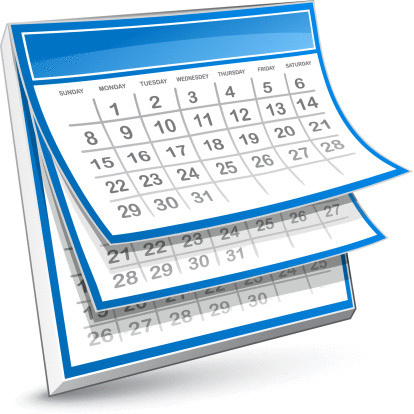 We do send appointment reminders for patients who have pre-booked appointments. These are sent via text to the mobile telephone number that we have recorded for you on our system. If you do not wish to receive text alerts from the practice please let reception know. Please also let us know if you change your mobile number so that we can update out records. We ensure we have a limited number of urgent or emergency appointments available to book on the day only. These may either be with a GP or an Advanced Nurse Practitioner. Patients who require to be seen urgently, on the day are not able to specify a particular clinician. If you wish an urgent on the day appointment you are requested to contact the practice at 8.30am. We have a nominated duty doctor who will deal with queries relating to genuine emergencies immediately. As a member Practice of Cheltenham Peripheral Cluster we are also participate in the provision of Improved Access appointments via a shared rota. This gives patients an opportunity to book an appointment with General Practice each weekday Monday to Friday 18.30 - 20.00 hrs, Saturday mornings from 08.30 – 12.30 hrs. Records are shared across the practices with adherence to strict IT Governance and Confidentiality rules and a signed Information Sharing Agreement has been signed and approved by each practice Named Improved Access Lead and approved by each practice Caldicott Guardian. Patients from cluster practices are managed under our current registered Regulated Activities and consulting GP responsibility agreement. We also have access to appointments on a Saturday afternoon and Sunday via the Gloucestershire wide extended access scheme. Within Cheltenham these are available at The Chapel, St Pauls. Further afield we have appointments available in Gloucester, Stroud and Bourton on the Water. These appointments are booked via the practice as per our normal process. Our policy is to ensure that as far as possible latecomers do not affect the appointment times of subsequent patients who have turned up on time. If you realise you are going to be late for your appointment please telephone ahead to let us know. We will endeavour to fit you in later in the surgery although it is likely you will have to wait a while and may not be seen until the end. You always have the option to re-book. If you just turn up at the surgery, late for your appointment, you will not be able to book in electronically and will need to present yourselves at reception. If you are still within your appointment slot the receptionist will give you the option of waiting until the end of the surgery or re-booking your appointment. If you are later than your appointment slot you will not be seen and will have to re-book. If, exceptionally, you consider your need is urgent be prepared to give the receptionist some details and she will contact the doctor to see if you can be seen. At the doctor's discretion you may then be seen at the end of the surgery. Missed appointments cost the NHS over £13 million per annum. Please inform us if you cannot keep your appointment, so it can then be offered to another patient. You can do this by phone, or by texting CANCEL in response to your appointment reminder text. If you feel that you require medical attention but may not be able to visit the practice you should contact reception on 01242 223 810 before 10.15am. A doctor will telephone you back in the first instance to discuss your medical condition and agree the best course of action. Requests made after 10.15am will normally be managed on the following day, except in emergencies where the request will be passed to the doctor on-call. Please provide details of your problem so that the doctor can assess the urgency and nature of your condition and confirm the best telephone number to be contacted on. We also request that where you are expecting a doctor to visit you at home, to be available at your address and contactable by telephone from 11.00am onwards. Reasons other than being medically unfit do not constitute a requirement to perform a home visit. Transport issues for a patient- It is not the GP practices responsibility to arrange transport, or to perform home visits because the patient has difficulty arranging transport. In these circumstances patients should seek transport help from relatives, friends, or taxi firms. Childcare issues for a patient- If a patient has difficulty arranging for someone to care for their children whilst attending appointments, the patients are welcome to bring their children to the surgery. Poor mobility- Whilst it is understood that having poor mobility is inconvenient and unpleasant, GP surgeries are designed to cater for patients with restricted mobility. If patients are able to attend appointments at other healthcare settings, then they should also be expected to attend appointments in GP surgeries. The unwell child- Children with a fever will not be made worse by transporting a child to a place of care. It is in the best interest of the child to attend the surgery where they can be properly assessed and treated. If a parent believes that the child is too unwell to travel to a surgery, then it would be advisable for them to seek help from the emergency services by calling 999. If the GP feels that attending the child at home, based on the clinical history, may prevent delay in treatment because of distance from available ambulance services, then they should attempt to do so. Residents of care home- Care home residents are no different to patients in their own homes. The need to visit should be based upon clinical need, not the availability of transport or staff to attend the surgery. It is the responsibility of care facilities to make transport available for residents so that they can get to medical and non-medical appointments.